By the end of 2017 you can expect to see an increase in the average homes IQ, thanks to the booming industry trend of home automation (a.k.a. Smart Homes). With so many corporate launches of new services, products and all-around better technology, we wanted to spend several weeks focusing on some of the biggest and most exciting home automation possibilities in blog series dedicated to smart homes. Continuing with our smart home series, let’s take a look at the future of doorbells. Not a topic you think you’d be interested in? Give us a few moments to convince you. The doorbells of 2017 would have Joseph Henry, the inventor of the doorbell, feeling like a real ding-dong (Ha!). Gone are the days of your doorbell simply alerting you via a chime that you had a visitor at the door. Today’s smart doorbells can alert you of a visitor on your phone, via camera, anywhere in the world. Not up for visitors? Tell them yourself. No you don’t have to get up; you can communicate through an intercom using an app on your phone! Wondering if the shoes you ordered that you don’t want your spouse to know about were delivered? Your smart doorbell is so smart it can alert you of deliveries. Unfortunately, smart doorbells do not currently have the functionality to convince your spouse that you need the shoes. Not all smart doorbells come equipped with motion detection. However, if you are in the market, there are several reasons why considering a smart doorbell with motion detection is worth it. Along with package delivery, the motion detection feature can alert you of suspicious activity around your front door and even store the footage for several days. Speaking of those package deliveries, package thefts from front stoops continue to rise as more and more purchases are being made online. Having a smart doorbell with motion detection can either ward off thieves or can help authorities catch criminals. For working parents of the world, a smart doorbell can alert you when your child has come home from school and possibly more importantly, who came home with them. Some leading brands of smart doorbells include the Ring Video Doorbell, August Doorbell Cam and SkyBell HD. 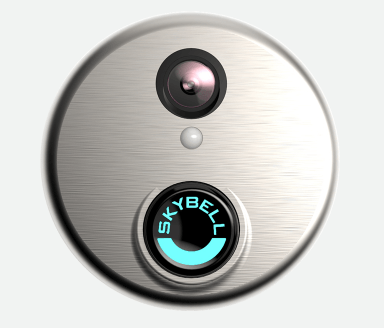 SkyBell HD is probably the most advanced and has a great, easy-to-use app. Ring Video Doorbell is the oldest model on the market and has the ability to work even if not connected to your existing doorbell wires, a distinct feature that is currently only available with the Ring Video. August Doorbell Cam is promising but has a lot of catching up to do with SkyBell and Ring Video; if you are looking to buy today we would recommend straying away from the August Doorbell for the time being and invest in an established brand. There are a lot of gadgets to explore if you’re considering getting into the smart home trend. However, this gadget offers something that most, if not all, consumers have a vested interest in: security. This is an easy and affordable smart home investment that will leave you feeling secure and in the know. Ready to improve the IQ of your home? Contact us for more information and to have your questions answered!